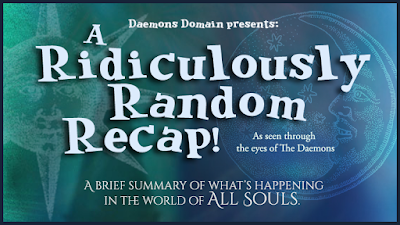 Ah, the Ridiculously Random Recap! Why the name? Because it's a recap. And it's random (ridiculously so). There is no rhyme, reason or rationale, reference it's recurring release. Also, alliterations are almost always adored by able, yet addled daemons! We have a few things to report in case you missed it on Facebook, Twitter, Tumblr ...etc and elsewhere. It's sort of a short one this time, but good information, regardless! From July 24th, 2015 until today! Here we go! If you plan to buy a ticket, time is running out to purchase at the discounted price! You have until 13 August (Diana's birthday!). Also, the fan-panel has been announced! See the schedule <---here. Ready for the next step in your virtual Oxford tour? 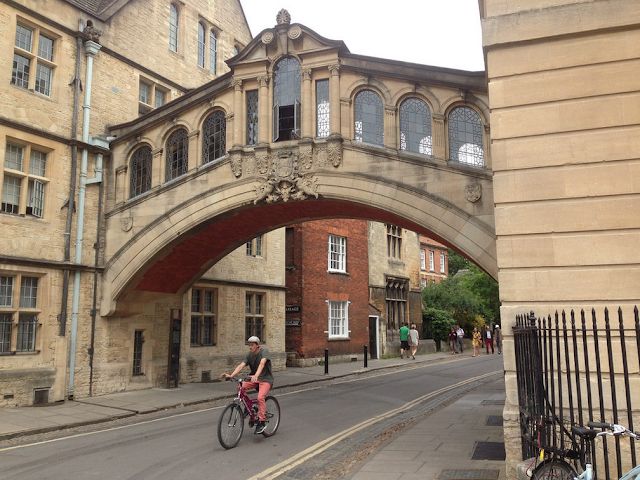 This time you'll be visiting The Bridge of Sighs, New College, and All Souls College! Check it out here: Part 2 - The Bodleian. Then on to Oxford's Covered Market here: Part 3! More to come on The Tenth Knot! The Bridge of Sighs - Photo by L. Ventura. • The Daemons - what we've been doing! 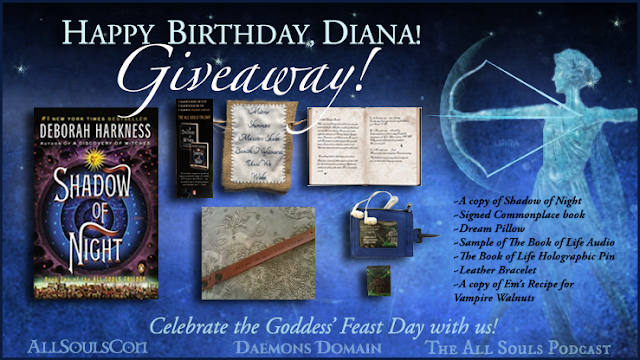 Happy Birthday, Diana - Giveaway! - We are co-hosting this: Diana's Birthday Giveaway (most prizes listed on image above) with AllSoulsCon and The All Souls Podcast! Runs until 13 August, 2015! 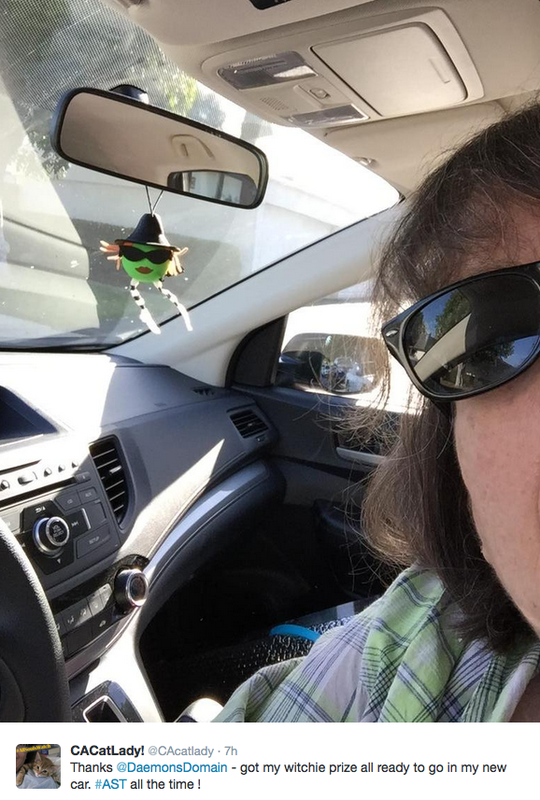 - This week, we published a Weekly Geek - featuring George Chapman! - Congratulations to Maro Hogan! She's won our Game Night Giveaway, featuring the AST Board Game! • Pretty cool time-lapse video of Oxford. Timelapse of Oxford from Spires Media on Vimeo . We're happy @CACatlady! 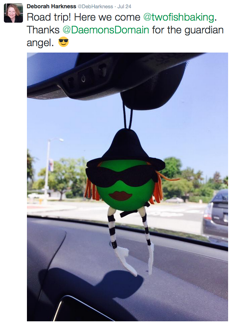 got her riding companion safely! Deb and 'Esmerelda' on the road! Cover of the upcoming E-short for UK readers. Do you know of anything going on in the fandom that you'd like to see included in these recaps? Please contact us! 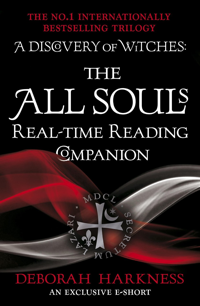 Also, we love to hear about new events, websites, or articles as long as it has to do with the All Souls Trilogy! Do you like our regular features/posts? Consider subscribing! You can unsubscribe whenever you'd like, and our new content will come straight to your inbox!